What is your favorite Saltwater Fish? Inspired by Rhyne 2012 and an article from CORAL Magazine, I compiled this list of the most popular saltwater fish. Rhyne reported on this based on data from importers in a research article titled: Revealing the Appetite of the Marine Aquarium Fish Trade: The Volume and Biodiversity of Fish Imported into the United States. How many of these most popular saltwater fish on this list do you have? Are there any that are on your wish list? Any reaction to the list? Which ones would you add to your saltwater tank? One thing I learned quickly, from this list, is that the saltwater aquarium hobby is quite fond of damselfish. Frankly, I was surprised to see so many damselfish. I guess I’ve been a little slow on the uptake there. Damselfish are so rarely a major part of the reefs that many of us create in our homes, but what I neglected to account for is the fact that damselfish are the first fish that nearly ALL of us add to our tanks. They are the gateway fish that help us transition from that African Cichlid tank to saltwater. Sure, they come with listings and advice that suggests…be careful…these fish are aggressive…but if we cut our teeth in the hobby with freshwater cichlids…we know all about aggression. Aggression doesn’t scare us. I also missed another obvious sign. Every local fish store with saltwater fish has a tank full of damselfish. Including PETCO. 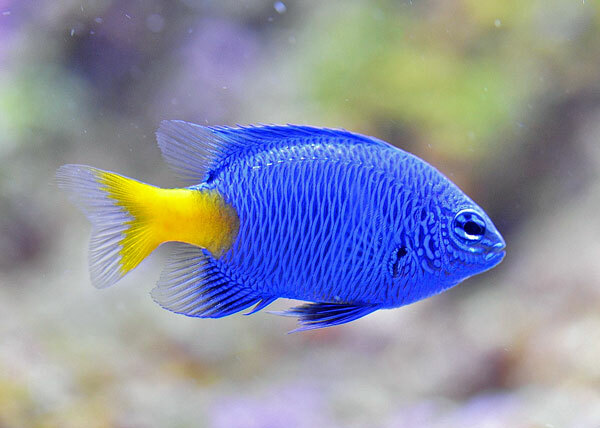 The signs were all there, but in my aquarium snobbery, I somehow minimized the importance of the lowly damselfish. There is no argument that most damselfish are cute, small in size (which makes them an appropriately-sized fish for most tanks)–but I can’t help but think that what is truly driving the purchase is the price tag. Let’s face it, the average damselfish is cheap. You could fill your tank with fish for the price of one flame angelfish. It’s just a shame that the majority of these brilliantly colored fish aren’t well-suited for the average community tank. It seems like there is clearly a market for inexpensive community saltwater fish, which is why the damselfishes are some of the most popular saltwater fish. 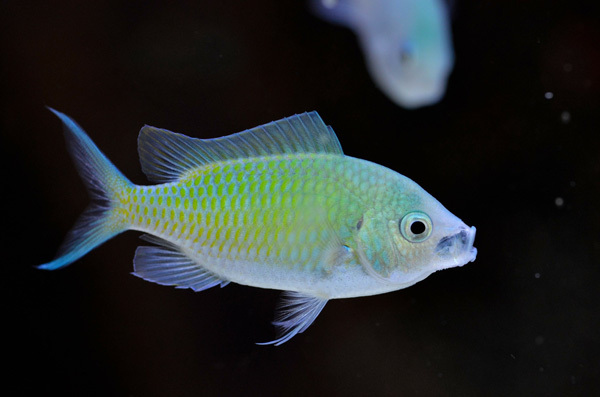 The Chromis viridis, or Green Chromis, is the most popular saltwater fish species in the entire aquarium trade. Mostly because of their very affordable price, great coloration, the boldness and energy they bring to the tank and the fact that they tend to shoal. Aquarium owners who want that ‘schooling look’ most commonly buy these colorful little fish to provide that. These saltwater fish are relatively small, growing to a size of 3 1/2 inches, and require a good amount of open space for swimming. In captivity, the Green Chromis may live 8 – 15 years–although if you are purchasing a shoal, the lifespan is likely shorter for most of them. 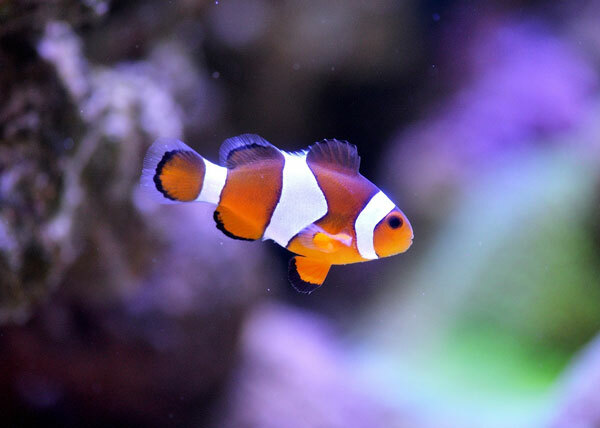 Undoubtedly, the common clownfish is THE MOST POPULAR SALTWATER FISH. 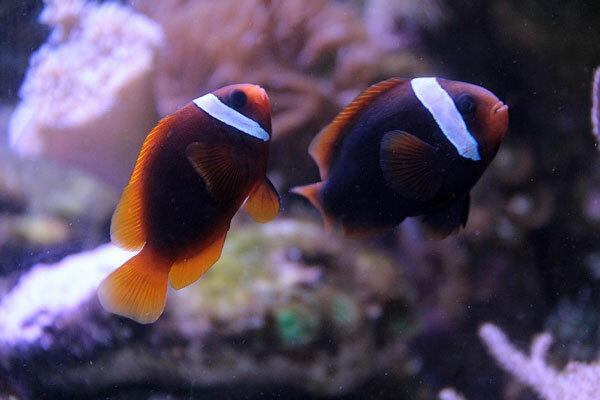 Every tank should have a pair of common clownfish…that is…unless you already picked another species of clownfish. 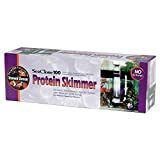 These are great fish and should be an early purchase for just about everyone. The data used in this report were for wild-caught fish. There is no reason to buy a wild-caught clownfish. Please ask your local fish store for aquacultured clownfish, also called captive-bred. 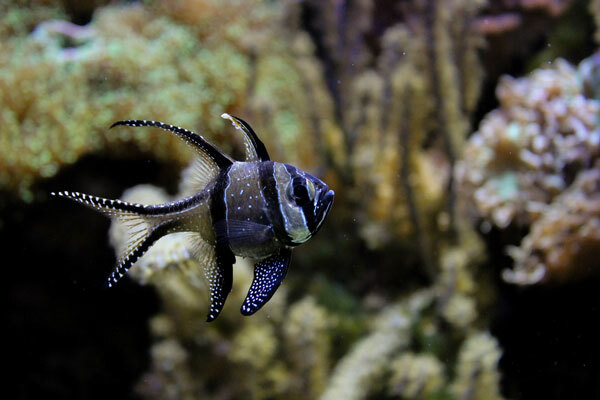 I think people tend to either love or hate the Banggai Cardinalfish, but clearly, enough people love them to make them one of the most popular saltwater fish. 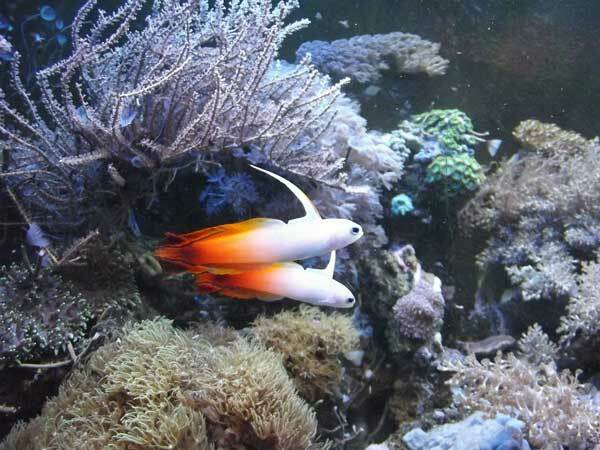 This fish is relatively easy to spawn in a reef tank (by saltwater fish standards) and they will pair up. Use caution, they seem friendly towards each other as juveniles, but when the adults grow up and pair-off, they can get down-right nasty. Still, aquacultured Banggai Cardinalfish are one of my very favorite reef fish. Please, please, please (does it sound like I’m begging you? That’s fine, as long as it works) don’t purchase wild-caught Banggai. They are on the IUCN Red List of Threatened Species (which means they are headed towards extinction). 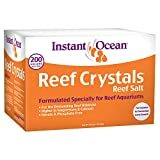 The issue is complex and beyond the scope of this article here–but please take my recommendation and get this cool saltwater fish from an aquaculture facility, not from the ocean. Personally, I think these fish are amazing. They are one of my favorites. 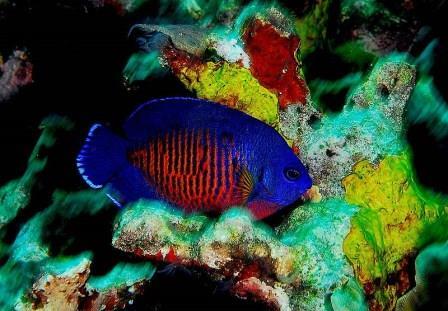 The Coral Beauty is a beginner’s angelfish. They are inexpensive (by Dwarf angelfish standards), vibrantly colored, active swimmers, and don’t have very restrictive or specialized dietary needs. They are a great reef fish. Most importantly, they are readily available at your local fish store. The Royal gramma, Gramma loreto, is a great beginner fish for the new saltwater aquarium. and belongs to a group of fishes called the fairy basslets. The reasons I love them so much are because they are perfectly sized, beautifully colored, hardy, tolerant of the conditions within a saltwater tank and spend their time out in the open, rather than in crevices, hiding. 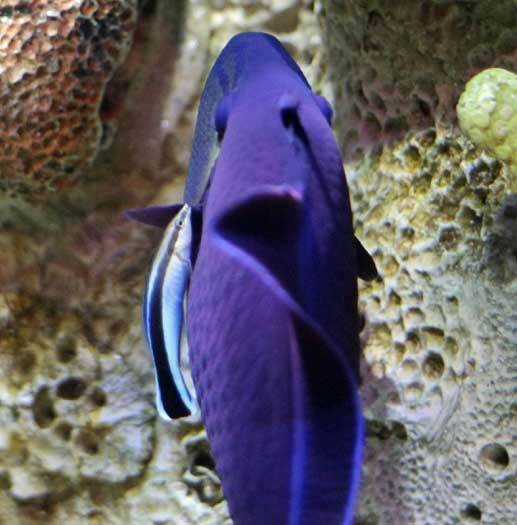 With a bright purple head and a yellow body/tail, this bold and beautiful fish will spruce up any tank. They are very hardy and relatively inexpensive, which is a combination that makes the Royal Gramma a great saltwater fish. Royal Grammas are a cave-spawning saltwater fish that reproduce in harems. That means a single male tends to spawn with more than one females. The male makes a nest out of macroalgae, which is where the eggs are laid night after night. 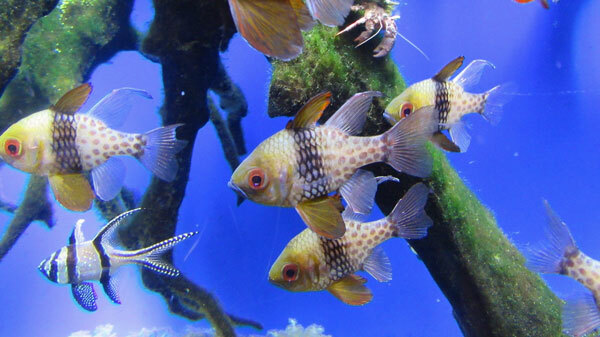 The Pajama Cardinalfish is the fishy cousin to the Banggai Cardinalfish. You can keep them in groups, which is cool. PJ’s have awesome coloration, so cool it almost looks artificial. They have giant eyes and are peaceful and are available through aquaculture. Shop around for the aquacultured variety, because most of the stores I see have wild-caught fish because they are cheap and abundant. If you can afford it, I recommend you spend a little more to get the aquacultured variety. These are a great fish, stunning to look at–but they are jumpers. Make sure you have a tight-fitting lid. I’m not being melodramatic when I tell you that I had a tank without a lid and found them on the floor in the morning. I had them in a tank with a lid and LOVED this fish. I left the lid open one night by accident (got distracted, walked away) and found it on the floor in the morning. For whatever reason, these fish love to check out the floor. If you love the look of the firefish and want an even cooler saltwater fish, check out the purple firefish. 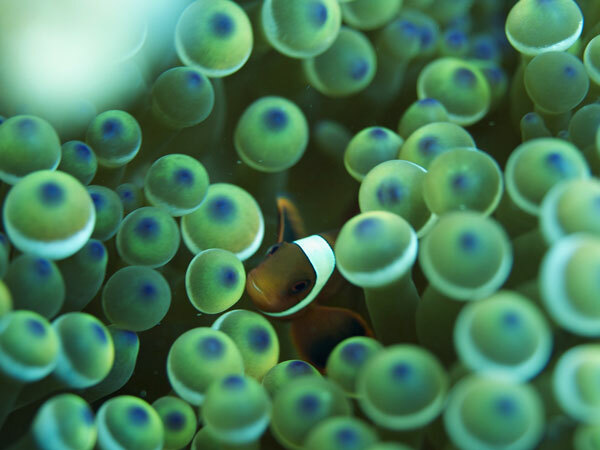 There are a few different species of clownfish within the tomato clownfish complex. Many of these can be a good choice for your own aquarium, as long as you have space. They are larger fish, compared with the common clownfish, yet are equally easily cared for. 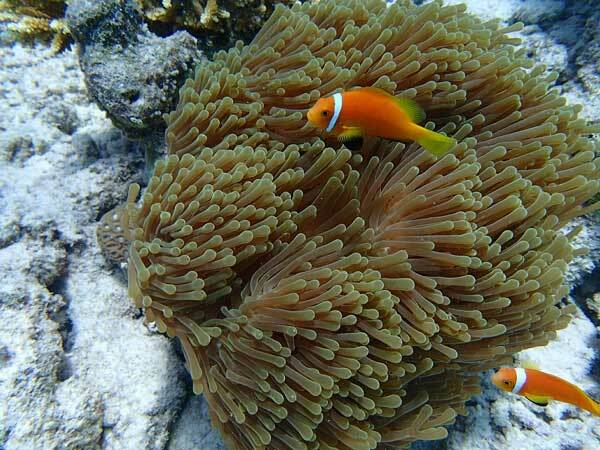 The scientific name of the Tomato Clownfish is Amphiprion frenatus. They are beautiful fish with a reddish-orange color that will turn to a darker brown color in more mature females. As juveniles, they have 3 white stripes, just like the common clownfish–but A. frenatus clowns lose their second and third stripes as they get older. The iconic juvenile-to-adult has a single large white band just behind the eye, like in the images above. Being very hardy, they will eat live, frozen and prepared foods with gusto. Tolerant of water conditions and bold/active inside the aquarium glass, They are a reasonable choice for a first-time aquarium owner or anyone who is looking for an alternative to the ubiquitous common clownfish. Maroon clownfish are very cool looking–and I would even consider them to be extremely cute, as juveniles, which may influence your purchasing decision. However, they are also one of the most aggressive and territorial species of clownfish. They are notoriously territorial and should be the last fishes you add to the tank, if possible. If you want to have a mated pair of these fish in your tank, the traditional advice is to buy a very large fish with a very small fish. The larger saltwater fish will very likely be a female. The smaller one will probably be a juvenile male. Clownfishes all start out as males when they are juveniles. The largest, most dominant fish becomes a female. Since these saltwater fish are so aggressive, you don’t want two similarly sized individuals trying to fight for dominance. If you stack the deck by mixing a large and small fish, they are each more likely to accept their place without a lot of bloodshed (and fin shed). The Flame Angelfish, Centropyge loricula, is one of the most popular dwarf angelfish species. 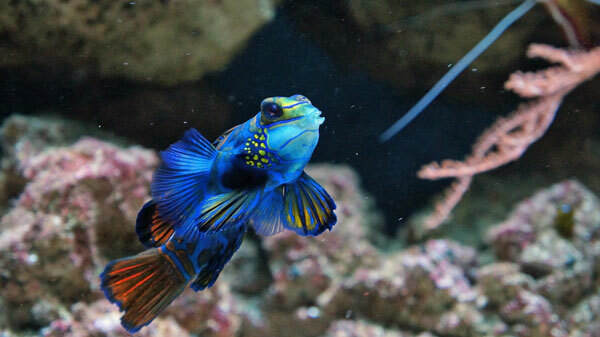 Just take a look at the breathtaking coloration of this spectacular fish and you can see why. 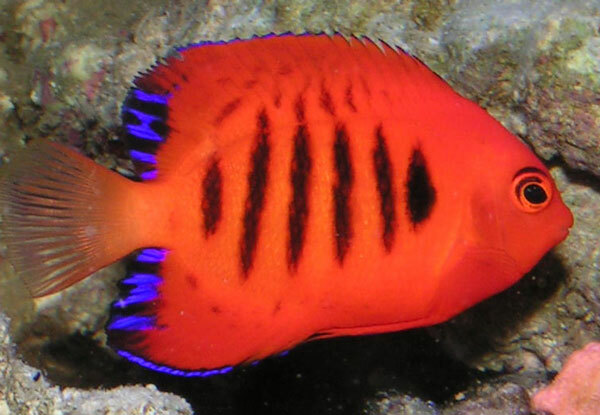 They display vertical black bars on firey red sides and deep blue back fin ends. Their average lifespan is between 5 – 7 years, but some may live longer. All Flame Angelfish are born female. In the wild, the alpha fish changes gender to male while the rest of the harem remain female. Collection pressures are tough on these fish, they can be expensive, but they are stunning to look at. I’ve kept them from time to time and have always appreciated the color and personality they brought to the tank. The price tag is really all that puts them in this category. The mandarinfish, also known as the mandarin goby, is an amazingly beautiful fish. They are small, slow-swimming and beautiful, which is why they are so frequently collected and purchased. 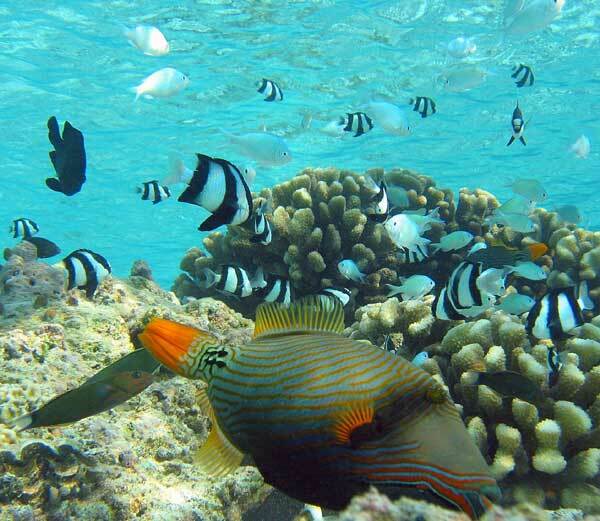 These fish are shy, picky eaters that are typically not best kept with the hustle and bustle of a mixed reef. You should only keep them if you’re willing to culture live foods 0r spend a small fortune on purchased live foods. If you can meet their demanding nutritional needs, they are relatively long-lived fish. Their expected lifespan is comparable to clownfishes. You can expect a fat, well-fed mandarin to live 10- 15 years if you’re lucky. Since they only grow to be about 3-4 inches in length, have a narrow body shape and are not open-water swimmers, they are suitable for almost any size tank. The greatest challenge is that you have to provide it with a constant supply of live copepods to eat. I don’t mean to be so opinionated here…but the rest of the fish on this list are not recommended. They may be popular, they may be imported by the metric ton, but they are not a great fit for most tanks. There will be exceptions, I’m sure, but try to avoid these fish if possible. As a general rule, these damselfishes can be territorial and aren’t worth it. Try to pick something else. A few of these are the fish I started out with, when I began in the hobby, so I don’t mean to sound hypocritical–rather I hope you’ll learn from my experience and not purchase them. Often sold as tiny, 1-inch juvenile saltwater fish, the adult blue hippo tang (Paracanthurus hepatus) might look like a tiny, fish-nugget sized fish, but it can grow up to be 6-inches in length. Most importantly, this fish is an open-water swimmer–which is a difficult environment to create in the home reef tank. It is generally recommended that you keep this majestic fish in a very large tank (180 gallons or more) in order to provide it with the swimming room required to stay healthy. 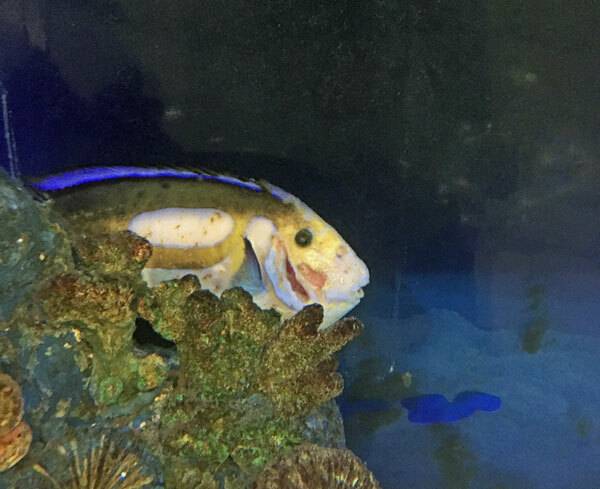 Made extremely famous in the movies Finding Nemo and Finding Dory, this regal fish is often sold at an extremely small size and kept in a tank that is too small for it and is therefore prone to skin parasites, like saltwater ich and to head and lateral line disease. If you do decide to add one to your reef tank, be sure to feed it regularly (2 or more times each day, if you can manage) with nori or other high-quality seaweed foods. The Bluestreak Cleaner Wrasse often starves in captivity because it literally needs parasites to be abundantly available to stay alive. Hopefully, you don’t have a permanent abundance of parasites in your tank. That would be a very difficult thing to sustain. The one big caveat for this data set is that the data about the most popular saltwater fish shows the most popular saltwater fish in terms of what is imported. What is totally missing here are the most popular aquacultured fish. I would expect that maybe some other fish like the pink skunk clownfish or neon goby might pop onto the list if you included aquacultured fishes. Otherwise, it seems that this data set is a fairly robust way of assessing the true demand in the hobby. Great article. I think you might have mentioned that this article was written without bias towards aquarium size…e.g., Coral Beauty shouldn’t be kept in an aquarium smaller than 100 galls – my opinion. When I read it I was thinking about my 29 gallon (with refugium) and I will bet other readers did too. Great point, thanks for clarifying. That is certainly an important consideration for keeping the Coral Beauty and is a great addition by you. thank you. Enjoyed the article Al. Reminds me of how lucky I am my 6 line isn’t aggressive! Thanks for the comment Muttley. You bring up a good point that is very worth mentioning. It’s actually awesome that you’ve had good success, because 6-lines are awesome looking fish. I love their eyes. It is worth noting, just as you point out, individual fish will have individual variations to their ‘personalities’ and behavior. Each tank is a somewhat unique environment and each animal brings with it a unique set of experiences. So while I do try to share my own experiences as well as what I believe to be collectively true, you will find that individual results will vary. Hippo Tang and a few others not on your list. I have 2 Psychadelic Mandarins and contrary to belief they are very easy to raise. Sheepish when first in the pond, place food where they make their ( safe place) then make a trail of food, I use Nutra Mar prawn roe. I start the feed in am and at night and keep moving the ( safe food supply area with a turkey baster and make a trail around the rocks, keeping the trail longer as they get bolder and start to follow it. The Hansel and Gretel technique. I started this with one and then got him a girlfriend and he taught her how to follow the path. Now they travel all over the rocks and are very visible and started mating. Question, can the spotted and psychadelic co exist? Hi Robin, thanks for sharing your list and experiences here. I would like to applaud your success with the Mandarins. It sounds like they are taking quite nicely to your tank and husbandry. Great work. For the purposes of others out there, it is important to consider Robin’s experience and note these fish can do quite well. It is not always the case, however. In terms of keeping the two species together, I have no first-hand experience there. Do you have somewhere to safely remove the fish if trouble ensues?